The rates listed below are provided for your convenience, to aid you in comparing our prices to those of our competitors. These rates are not guaranteed. Each translation project carries special time and formatting requirements, and we at Lucechiara Translations will endeavor to adhere to the price ranges listed below in as many cases as possible. 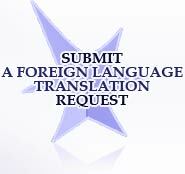 For a detailed quote, contact us with a sample of your translation project, formatting requirements, and deadlines.